"Thanks for a great day fishing! A day of fishing the Rose River Farm was one of the best birthday gifts my wife ever gave me. I caught at least 20 fish 16 inches and bigger. 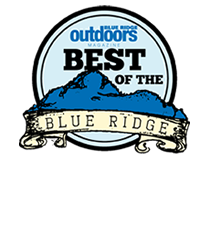 My best day of fly fishing in Virginia...and it was in the Rain!" 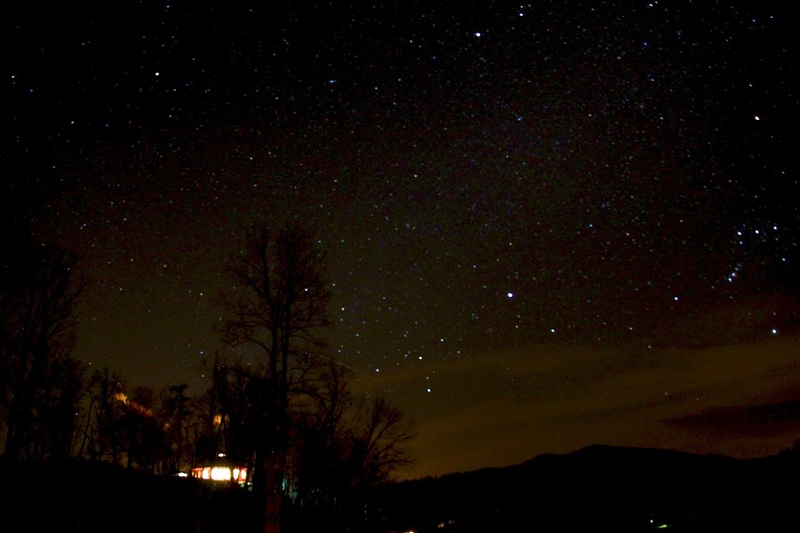 Nighttime views can be as stunning as the daytime views! 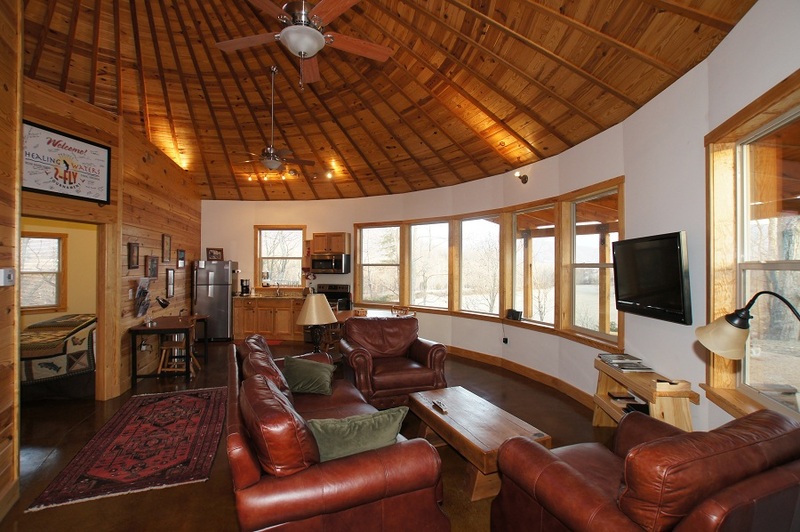 Rose River Farm features three exceptional rental cabins for overnight guests located "catty corner" to the main farm on a private 20 acre parcel that has beautiful views of the Blue Ridge Mountains and the Rose River Valley. 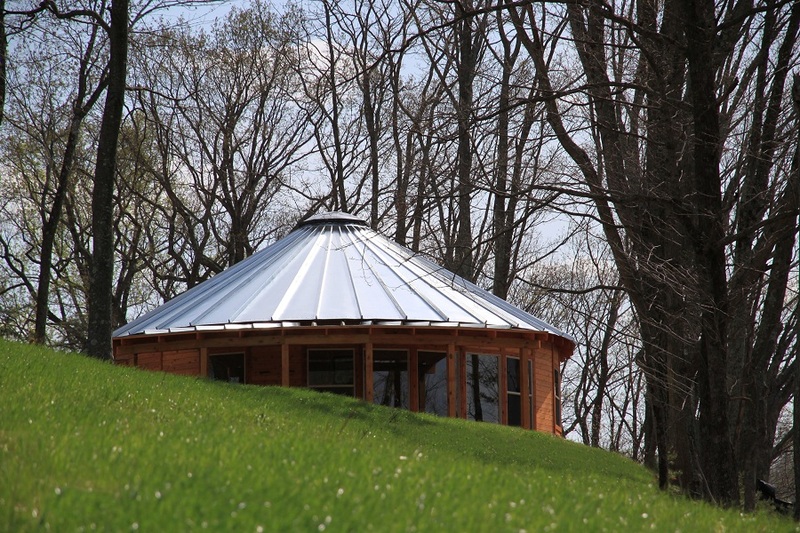 The cabins are modern day interpretations of classic Mongolian Yurts. Constructed of cedar, glass and steel, each cabin is over 1,100 square feet and has central AC/Heat. 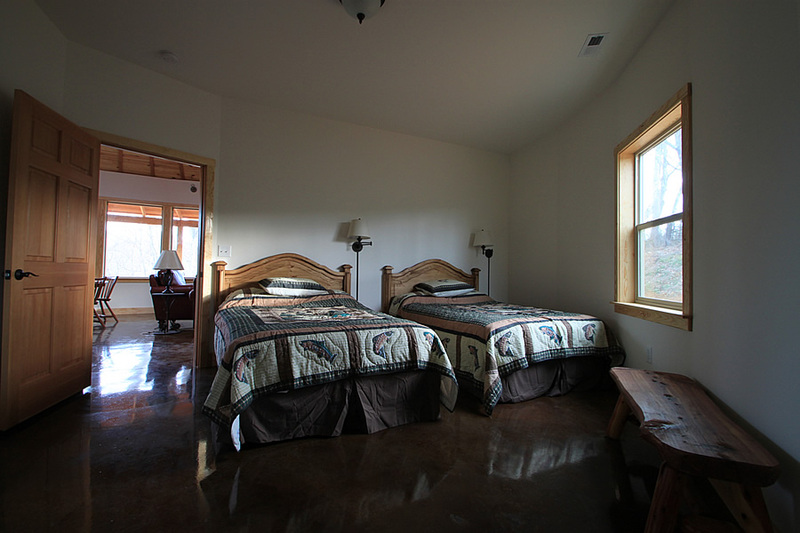 All three cabins feature two bedrooms with two full baths. Each bedroom has two double beds. The living room features a domed 17 ft ceiling, leather club furniture and a jumbo flat screen TV with satellite, DVD player and even an iPod docking stereo. Unlimited satellite WIFI is available from a third party provider at no charge. 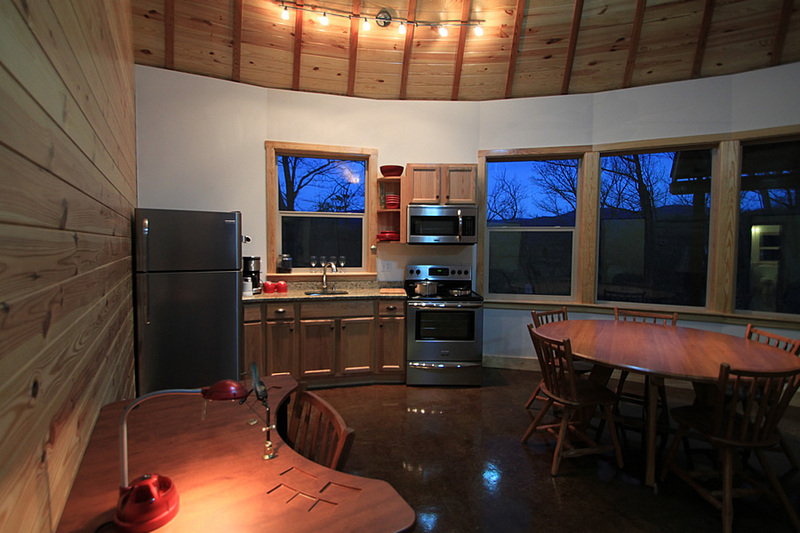 There is also a full kitchen (stove, oven, microwave, full size fridge and freezer with ice maker) and a nice round dining / gaming table for eating or a little evening cards. There is even a fly tying table with a Regal vise. 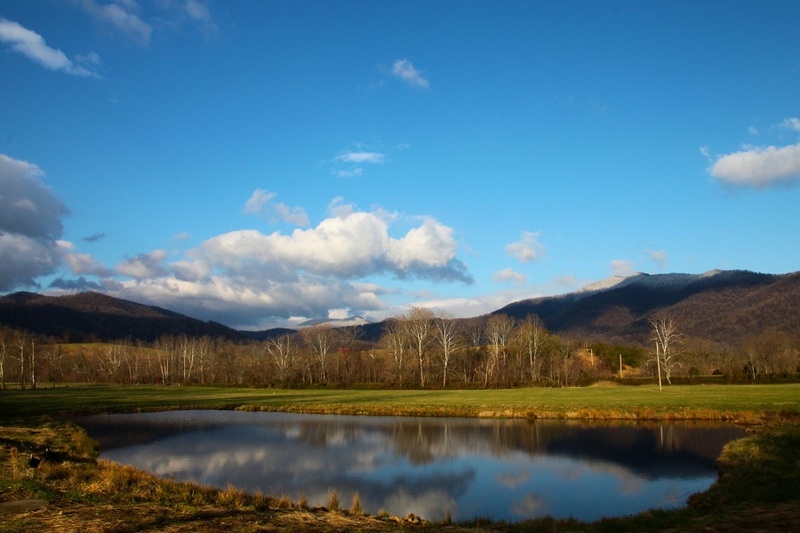 The cabins feature a wall of windows and a big porch to capture the spectacular views of Old Rag Mountain, the Rose River Valley, and a stocked pond (bass, bluegill and trout) that is catch and release, single barbless hook only, strictly for cabin guests. There is a park style charcoal grill and a big outdoor fire pit with wood supplied. 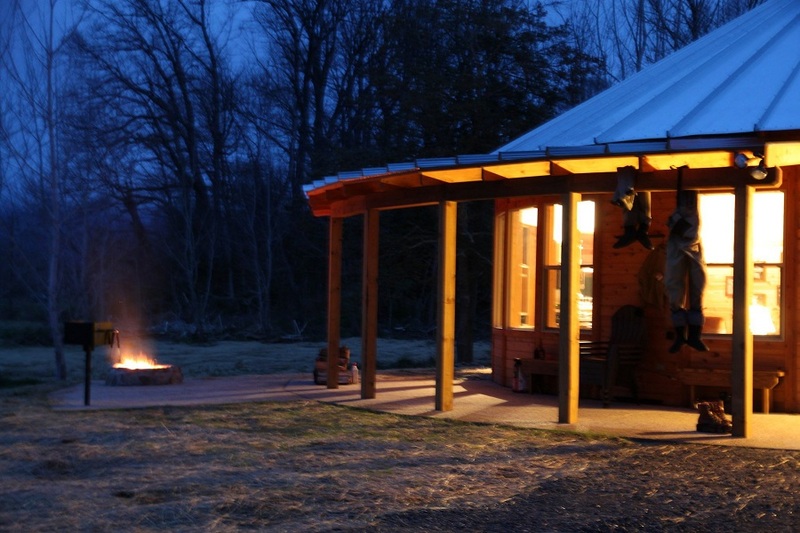 While the cabins are designed with the fly angler in mind they are also available to those looking for a weekend getaway, a mid week break or even a full week vacation in the Blue Ridge Mountains. The cabins are also ideal for the non fishing spouse. We have an outfitter who can provide horses for local trail rides into the National Park. The stable is less than 2 miles from the cabins. Our favorite outfitter supplies everything -- located on the banks of the lower Rapidan River, Rapidan River Kayak Company offers private tours, lessons and even kids camps at very reasonable prices. Ask about kayak fishing options too! Madison County offers an abundance of outdoor activity from hiking Old Rag Mountain and White Oak Canyon (both within 10 min of the farm) to visiting Camp Hoover and the Shenandoah National Park. There are a number of wineries in the area and many great restaurants as well. Old town Culpeper with the quaint Davis Street shopping area, with many excellent restaurants, is 20 minutes away and Charlottesville is about a half hour drive. There are several golf courses and even a couple of shooting preserves nearby for wing shooting. For a full list of area attractions and an online dining guide please click here. Many of our fly fishing guests who are spending a few nights with us like to spend at least one day fishing the beautiful native trout waters that surround the Farm. 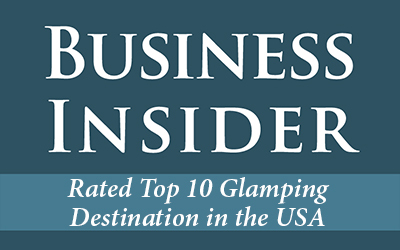 The Rapidan, the Upper Rose, the Robinson and many others are within a few minutes of the cabins. 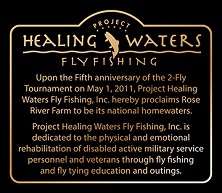 For more local fly fishing information, other than the Farm's trophy waters, please click here. We do provide full and half day guide services for these native streams if desired. The rental rate for our cabins per night is $250 plus tax for 1-4 occupancy. The Weekly rate (Sunday- Sunday) is $1,500. We are strictly non smoking and while we love dogs we do not allow pets. 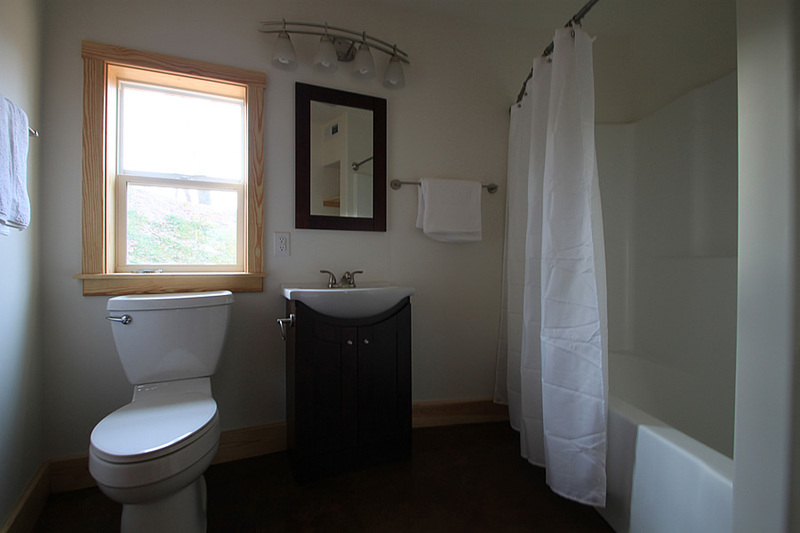 Cabin rentals include all linens and towels and paper products. The kitchen comes equipped with pots, pans, plates, glasses and silverware. There is a coffee pot and complimentary hand roasted Gilette's Coffee. To book please use our fully automated system below. Certain holidays may have booking minimums. All reservations are paid in full at booking and cancellations are not allowed. We will allow a one time rebook with 14 days prior to booked date notice. Check in time is 2:00 PM and check out time is 10:00 AM -- please respect these times. Any damage or removed items will be billed to the guest -- smoking and pet violations are billed at $500. Maximum occupancy is 4 adults. We reserve the right not to accept any reservation for any reason. If you have any questions please email us at roseriverfarm@gmail.com or dmdear@aol.com. Upon booking you will receive a confirmation email from our credit card processor (PayPal) and a confirmation email from us that has the check-in procedure. Please print this confirmation and bring it with you. If you do not receive a confirmation within 10 minutes of booking please email us. Please click here for directions to The Cabins at Rose River Farm. The three cabins are known as Hill Top, Pond View, and Mountain View. Hill Top sits on top of a beautiful bluff looking down the Rose River Valley and Old Rag Mountain. Pond View is located right beside the stocked pond and also has great views of the Rose River Valley and Double Top Mountain. Mountain View looks out over a large meadow at Double Top and Old Rag Mountain. The cabins have the same layouts and furnishings. To reserve an available date, click on the name of the cabin on the date below. Please remember that fly fishing the Farm is not included in your cabin rental and that you need to book your fishing dates separately. Catch and release fishing in the pond at the cabins is complementary. 4/21/2019 4/22/2019 4/23/2019 4/24/2019 4/25/2019 Hill Top Pond View Mountain View 4/26/2019 Fully booked. 4/27/2019 Fully booked.